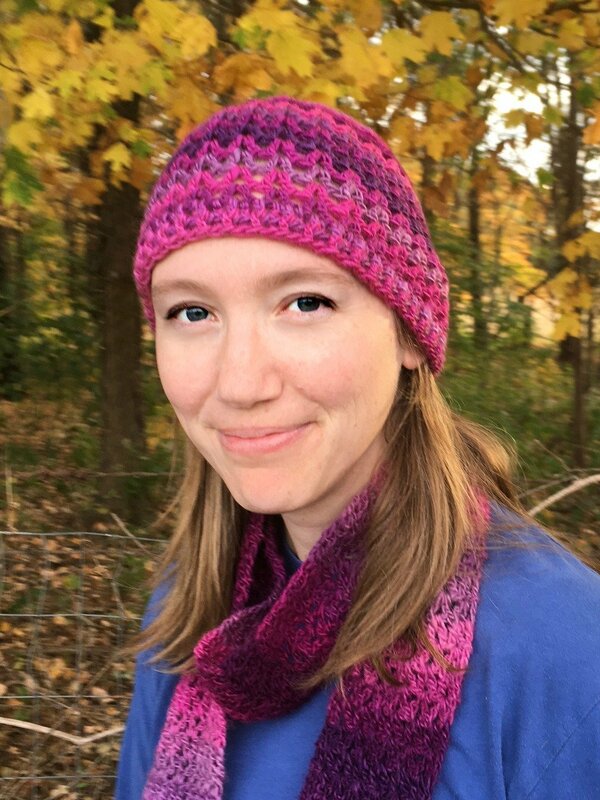 Unforgettable Hat - Free Crochet Pattern - love. life. yarn. You can buy an ad-free, large print pdf pattern for $1.99 by clicking here. Round 7: Ch 4, dc in same ch-1 space, V-St in next 3 V-Sts, 2 V-Sts in next V-St, *V-St in next 4 V-Sts, 2 V-Sts in next V-St; repeat from * to end – 24 V-Sts. Round 8: Ch 4, dc in same ch-1 space, V-St in next 4 V-Sts, 2 V-Sts in next V-St, *V-St in next 5 V-Sts, 2 V-Sts in next V-St; repeat from * to end – 28 sts. Rounds 9-16: Ch 4, dc in same ch-1 space, V-St in each V-St. Round 1: Ch 3, dc in each dc and ch-1 space; join with slip st to t-ch – 84 dc. Round 2: Ch 3, *fpdc, bpdc; repeat to last st, fpdc; join with slip st to t-ch. Fasten off. You’re done! I hope you enjoy this pattern! Hi! For this pattern, a V-stitch is a (dc, ch 1, dc) in the same stitch. It makes a shape like the letter V.
I can’t stop making this pattern! 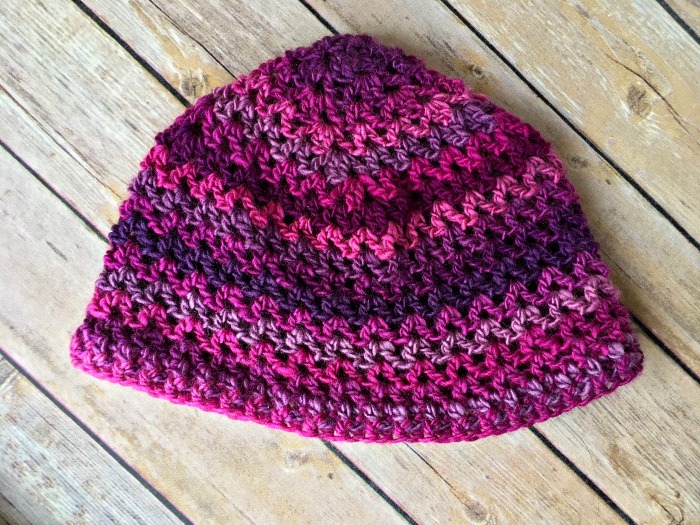 I have made 3 hats so far and I started 5 days ago. I started another one last night. It is fast, easy to read, and easy to follow. I am going to try to increase the size because it is too small for my huge noggin. Thank you for the pattern. What is fpdc and bpdc? 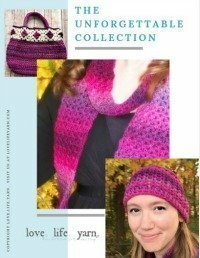 Fpdc is a front post double crochet and bpdc means back post double crochet. If you’re not sure how to do these, I have some tutorial videos at this link. Your hat is beautiful. Can’t wait to try it!